A strangely realistic icon of St. Alexei, Metropolitan of Moscow. The wrinkles on the eyebrows - the eyes, the realistic but slightly too long fingers. Depicting the Word of God, preincarnational Jesus I suppose. The lack of a cross halo probably makes it not only uncanonical but maybe heretical. ^^I'd seen it before and if I recall correctly, it's just a piece of something bigger. But I may be wrong. So, is Christ supposed to be subordinate to the Czar? I guess that's St. Andrew. 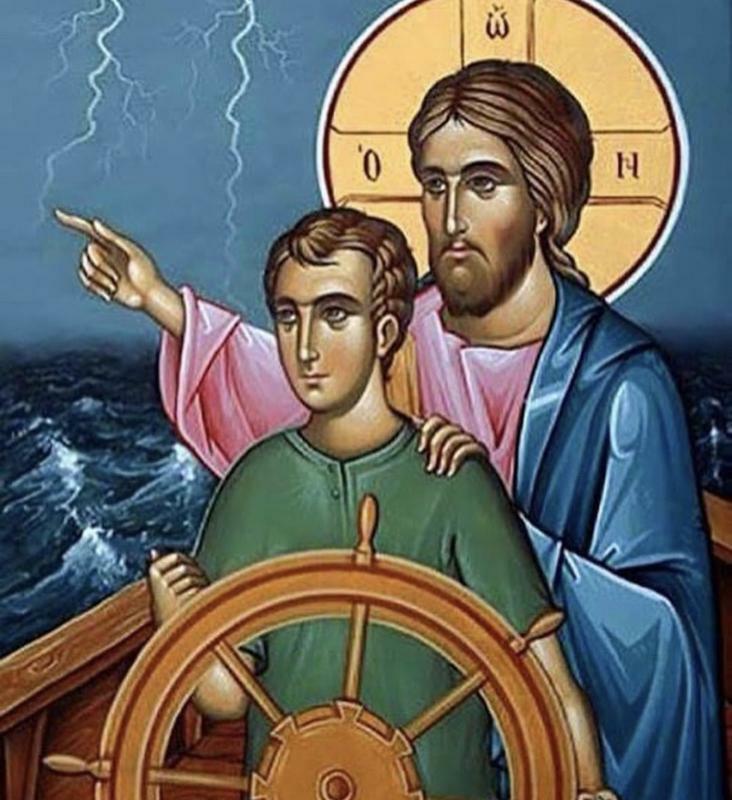 I've seen him depicted steering a boat before. Some sort of vision of the Tsar-Martyr these soldiers with that banner saw, I guess. Knowing Russian would be very helpful here. Not exactly an icon, but very strange idea. St. Basil Shower curtain. The inscription even has a question mark. The Alkonost was a mythological bird-human character which persisted into the early years of Christianisation of the northern Slavs and which was even sometimes used in manuscripts to symbolise the Holy Spirit. More commonly found in lubok imagery. From The Path to Confession by Fr. Artemy Vladimirov. Is that St. Simeon? What does the Hebrew say? The Hebrew says, "Joseph the Righteous." Invisible? In Exodus, he's pretty visible. 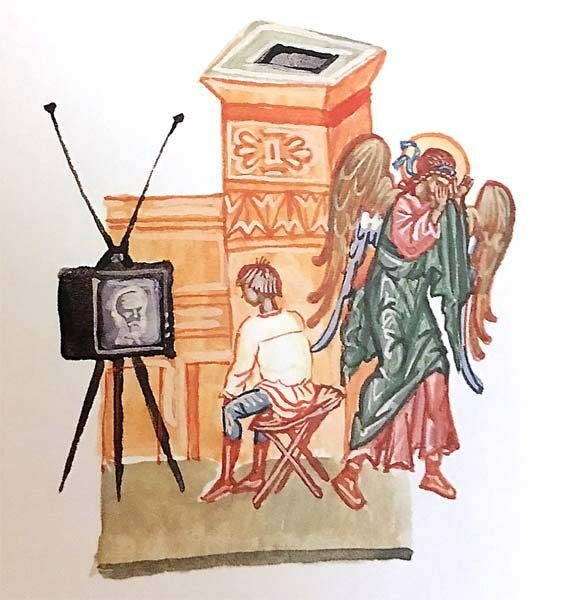 i've taken this from one of the Akathist translations; in Polish there are "invisible thoughts of the pharaoh"
A bit like Satan entering Judas, etc. The "invisible Pharaoh" would be Satan. Baptism in the Jordan on the Cross?... I think I've seen only Crucifixion, Resurrection and the 4 evangelists. Is that the one they throw in the local area’s body of water? You are right that in our modern age this is an American phenomenon. on the other hand there is a precedent in the old frescoes of Biblical scenes on the walls of churches in for example in Cappadocia. What is different is that you do not see individual icons of Biblical scenes that are currently available from American sources. It reminds a bit icon "In Thee all creation rejoices"/synaxis of the Theotokos.